Anya is a Heart of Living Yoga Teacher and Trainer based in Bournemouth. She has also been the Honorary Treasurer of the charity since its inception. Anya first came to Yoga in 1997, through an ante-natal yoga class. In 2003, Anya discovered Integral Yoga and met Reverend Padma on her first retreat in 2004. This experience opened her heart to the depth of Yoga teachings and its potential impact on all aspects of life. She subsequently attended several retreats and workshops, as well as a Raja Yoga course (Yoga philosophy). Having experienced the deep healing and peace Yoga brought her after a very traumatic event, Anya finally undertook her Integral Yoga Teacher training with Padma in 2013 to be able to share this with others. Working in a special school for young people with behavioural, emotional and social difficulties, it soon became clear to Anya that these young people needed Yoga in their lives. 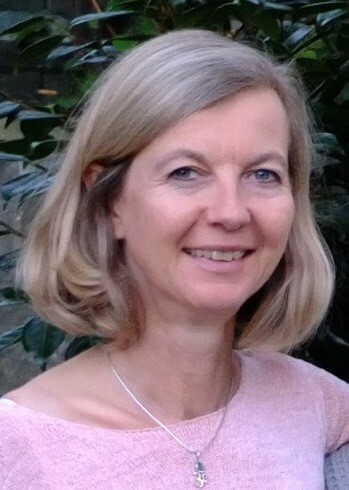 To deepen her understanding of Yoga and her expertise, Anya undertook further training in teaching Yoga and Mindfulness to youths with behavioural challenges, children and teens with Autism and ADHD, children with Special Needs, Chair Yoga, Heart Rest Yoga, as well as the Heart of Living Yoga Teacher training. In 2016 Anya finally took the plunge and became a full time Yoga and Mindfulness Teacher. She has been focusing on working with children and teens with behavioural, social and mental health issues, mostly in special schools, as well as sharing Yoga as a therapeutic intervention with children and adults with a range of Special Needs. Anya also offers Therapeutic Yoga and Mindfulness for Mental Health on a one-to-one basis.